Glendale police are investigating a shooting that occurred at a Glendale bar overnight. At least one person is dead. 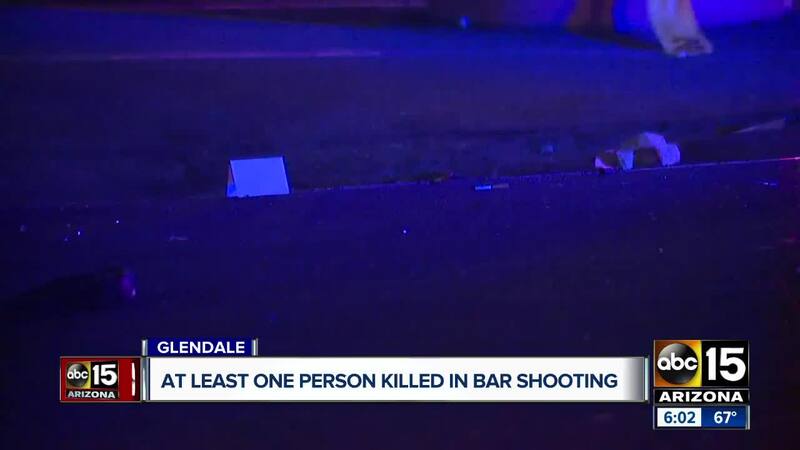 GLENDALE — Police have arrested a suspect in a deadly shooting that occurred outside a bar in Glendale, Saturday, April 6. According to police, they received a call for shots fired and one person injured due to the shooting near 67th Avenue and Bethany Home Road. The shooting occurred outside La Rubia Y La Morena Bar, also known as RM Bar, around 2:30 a.m., according to Glendale police. When police arrived, they attempted life-saving measures on the shooting victim, Jorge "Daniel" Marmolejo-Jurado, 27, but he did not survive. Authorities say Marmolejo-Jurado and the suspect, Eduardo Lugo-Ramos, had a brief encounter in the parking lot of the bar before the suspect fired multiple rounds at Marmolejo-Jurado. Police say Lugo-Ramos was taken into custody Wednesday, April 10. Lugo-Ramos admitted his involvement and was booked into jail on charges of second-degree murder, two counts of misconduct involving weapons and one count of violating Shannon's Law.